Making the decision to sell your family home is not an easy one. Now that the decision is made and you have chosen the real estate company to represent you it is time to prepare your property for sale. The preparation you do to have your property ready for sale can the affect the price you are offered and the length of time your property is on the market. And, the best part is, it’s not hard, time consuming or expensive. The process, or art, of presenting your property for sale is an important one to master. For many people, the sale of a property comes around on average, every 5-7 years. Others choose to improve the value of their family home and then capitalise on the opportunity of upgrading. Not only can they make tax free gains in the process but they also use this method as a way to increase equity in their property. Whatever your motive for selling, you have the control to ensure that the property transaction is smooth and stress free. Preparing yourself and your home for sale is an important step toward achieving that goal. Buyers for good quality property that is accurately priced can be found all year round. The marketing of real estate has become a fine honed skill with buyers able to research property all around Australia, at any time of the day, anywhere. With the process more sophisticated, timing is less of an issue than in the past. There do however, remain some influencing factors and these need to be taken into consideration. Properties located in the South Coast beachside area will produce superior results during Spring and Autumn. In some inland centres such as Bega and Cooma it may pay to avoid the Christmas holiday period between 20 December and 10 January. 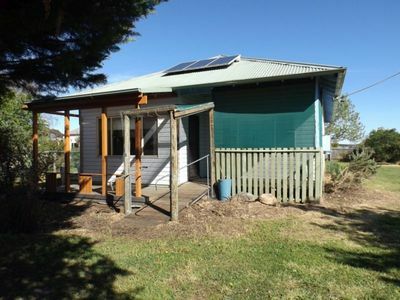 In popular tourist destinations such as Tathra, Merimbula, Eden, Tura Beach and Pambula Beach however, this same period can be the best time for the sale of property. Prior to placing your property on the market, allow additional time to speak to real estate agents, for preparation of your property and for photos and marketing. It will take, on average, 2-3 days for your property to be photographed, have blurbs written and be loaded onto websites. It is handy to bear this in mind, particularly if you are working to a time frame due for example, to a work transfer. Presentation of your property is a critical factor in attracting good buyers. This is similar to having your car detailed before you sell it. Many property transactions are driven by emotions. The buyer can picture their family living in the property, playing in the backyard or sitting out on the balcony. A poorly presented property is unlikely to generate the emotional appeal required to have the buyers make a heart purchase. A house whose appearance hasn’t been maintained appears unloved and is likely to raise warning signals with buyers. It is important to do whatever is possible to have your property looking its absolute best before you place it on the market. If you invest some time in preparing your property before calling a sales agent your property will be seen in its best light by agents, will be ready for photographs and ready, without a last minute rush, for the first prospective buyers. Many of these problems can be fixed over a weekend for little expense. 2. Obtain a building and pest inspection report. – Have necessary repair work done prior to sale as a 100% clear report can be used as a selling feature for buyers. 3. Have a Contract for Sale prepared by your solicitor or conveyancer with all the essential terms and conditions. In NSW the law requires that a contract be available for inspection prior to the property being offered for sale. 4. If you have recently undertaken major building works obtain a certificate of compliance from the Local Council. 5. Have a survey of the land and buildings available in case it is required. 6. Check the expiry date and termination requirements of the lease if the property is tenanted and advise your solicitor. 7. Make a note of all the inclusions that will be included in the purchase price and those that are excluded. Exclusions should be noted in the contract for sale. 1. First Impressions are lasting. Make sure the front door is clean and well maintained. Clear away any cobwebs and sweep leaves away from paths. Keep the lawns mowed and gardens weeded. If the letterbox is looking tired paint it or give it a good scrub. 2. Open Airy Atmosphere. Pull back curtains so that the house is light and welcoming. Wash walls and remove scuff marks. Pay particular attention to light switches. It is amazing how grubby these areas can get. 3. Place fresh flowers around the house and ensure plants are healthy and green. 4. Repairs. Fix leaking taps, loose knobs, sticking doors or windows. WD40 squeaky doors. 5. Kitchens and bathrooms are the most important rooms in the house. Have benches clean and clutter free and dishes away in the cupboard. If cupboards are overflowing pack away some of the things that you don’t use so that prospective buyers can see the storage room. Fix loose or broken tiles and clean mirrors. 6. A bowl of fresh fruit always looks great in the kitchen. 7. Remove clutter. Remove excess furniture, belongings and family photos. Keep clutter to a minimum but don’t make the house sterile. Buyers want to see a lived in house – one that they could imagine themselves living in. 8. Ensure that all light globes are working. 9. Keys. Check that you have a key for every lock. This is a part of the contract that is regularly overlooked. You are required to provide the purchaser with keys to all locks on the property when you sell. 10. Fix any faults prior to showing your home. A few dollars spent prior to the property going on the market could save a lot of heartache later. If prospective purchasers find a fault they then look for more. 11. Most purchasers are keen on storage. Ensure that wardrobes and cupboards are tidy. 12. Remove any not for sale items. While these should be listed in the contract it is also a good idea to remove or replace them so that the purchaser is not disappointed to find that the art deco light fitting that they love is not part of the sale. 13. The Garage. Ahhh…. difficult area. Try to tidy the area so prospective buyers can see that it is a two car garage and not a storage unit. 14. When purchasers are viewing your home remove pet bowls and kitty litter trays. Take the dog for a walk as while Fido may be your best friend he / she may not like the idea of strangers wandering through her backyard. 15. Leave the house. You’ve chosen your agent and entrusted them with the job of selling your property. Allow them to talk to buyers, show them the positives of your property and ask for feedback without you hovering at the door.